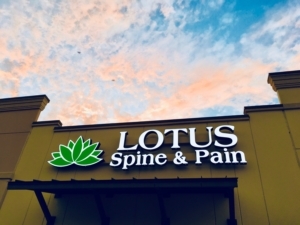 At Lotus Spine & Pain we are committed to working with patients to reduce pain, improve function and restore quality of life. Treatment will be tailored to you. You may be struggling with pain for the first time and are trying to better understand the source of your pain. Or, you may have dealt with pain for years, and are looking for ways to improve your current pain management routine. Pain treatment may include focused physical therapy, counseling on lifestyle modification, medication when appropriate, alternative therapies, or diagnostic / therapeutic procedures. Our providers have the most advanced training in knowledge and current therapies to provide patients with the highest level of care.